SABRATHA — It's just past 10 p.m., and Omar, Mohammed and Isa are driving on the Mediterranean coast highway that links the Libyan capital of Tripoli with the Tunisian border. In the distance, flares of burning natural gas emanating from the Mellitah oil terminal light up the pitch black night. The three men, all in their twenties, work in the migrant trafficking industry. They're on their way to their "jobs" in the stretch of coast between Sabratha and the city of Zawiya further to the east. This is one of the most dangerous roads in Libya, close to areas controlled by the Islamic State (ISIS) and constantly monitored by U.S. drones overhead, ready to strike at any moment. A drone strike in Sabratha killed the local ISIS cell leader, the Tunisian-born Noureddine Chouchane, in February. Local militias control the city but neither they nor the government in Tripoli have been able to halt the trafficking of migrants on Libya's lawless western coast. "There's very high demand here, many foreigners want to go to Italy," says Mohammed. Under the rule of Muammar Gaddafi, the area was a free port the government used to smuggle contraband. Today, the town of Zuwara is the only place in the 80-kilometer stretch between Tunisia and Sabratha that has been rid of human trafficking. An autonomous initiative launched by the local municipality, militias, and popular mobilization forces rooted out the practice, forcing the trade to shift eastwards towards Sabratha. 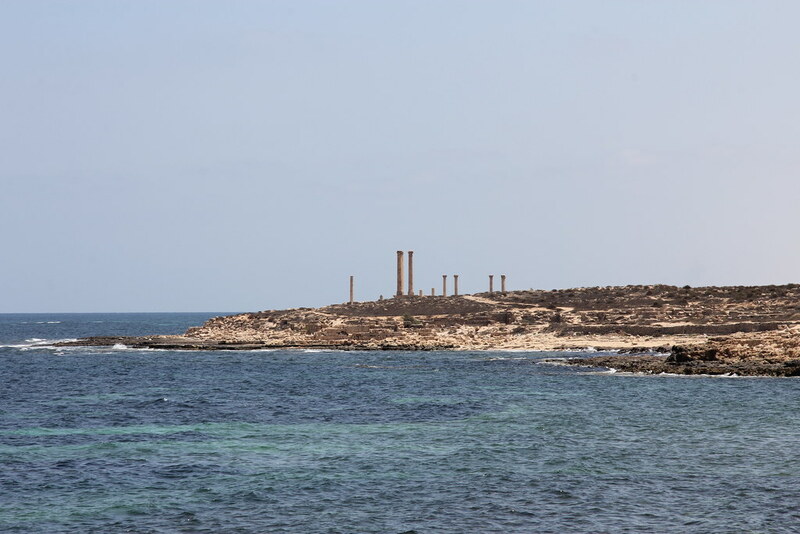 This area, the closest to Italian territory, is a perfect departure point for would-be migrants, with its relatively shallow waters no deeper than 200 meters — compared to the 400-meter depths and strong winds faced in journeys further east from Benghazi or Egypt. It's why people travel here from all over the continent, from neighboring states like Chad and Sudan to the south, from Mali and Nigeria in the west, and as far afield as the Horn of Africa. Syrians are no longer seen around here as they prefer crossing the Mediterranean from Egypt. Migrant trafficking operations in Libya earn around $1 million a day, and the groups involved structure their activities to protect their profits from potential defectors or competitors. Omar is a sentry, positioned on the road to alert the others if anyone suspicious appears. Mohammed started out providing food to the migrants, or "clients" as the traffickers call them, before they set off on their perilous voyages. Now he's in charge of transporting the migrants from hangars where they arrive to bunkers closer to the coast, where they spend the night before embarking on their journeys. "Profits are higher here, around 100 dinars ($73) per person," he says. "If you own a car you can make 400 ($291), which is half of a government salary, but with a small van you can make even more." Isa is the eldest and most well-traveled of the three. "To enter this business you need to know someone who's already in it," he explains. "You need to gain their trust to get jobs with more responsibilities. You start off with small boats and then you grow from there." Isa worked his way up from the bottom and now has his own "clients," along with a network of facilities and traffickers to run his operations. Prices for being smuggled to Italy vary, and traffickers can make staggering profits of up to 30,000 dinars ($22,000) a month. The "base price" of an illegal boat journey across the Mediterranean is $1,000, but the traffickers offer different "packages" at varying prices. "Trips with better conditions were reserved for Syrians," says Isa, noting that many middle-class refugees from the war-torn country were willing to pay more for better treatment. While the weather can often prevent smugglers from making journeys to Italy, there is little to no threat of being stopped by the limited reach of the small Libyan coast guard. "We fit 100-120 people on rubber dinghies made to support 40, but we can put up to 700 on a fishing boat," says Isa. "That's a million dollars in one trip." The smugglers never put a Libyan at the helm of the boats. "Migrants are better, especially Africans, who pay for their journeys by navigating. We give them a GPS navigator and then the sea takes care of the rest," he says. "I'll continue doing this until something better comes along. But I can always do it part-time," says Isa. When asked if he has any regrets given the hundreds of migrant lives lost at sea, he shows no remorse. "It's in our interest that our clients arrive safe and sound. This is the number one priority when you work at this level," he says. The small boats, overflowing with people, grow ever more distant on the sea as the beaches empty and the sentries vanish into the night. Tomorrow, the same scenes will play over again and this tragic industry is destined to continue.